What kind of induction ready cookware is compatible with induction cooktops? Not all cookware will work on an induction cooktop. Induction cooking works by using magnetic coils inside the stove. You will need cookware that has magnetic properties on the bottom, such as cast iron, enamel cast iron and stainless steel. The best way to test if a pot or pan is induction compatible is to put a magnet on the bottom of the cookware. If the magnet sticks, then the cookware will work. Some types of cookware will work on induction stovetops even if the bottom is not magnetized, but the heat does not distribute effectively. The portable induction cooktops will not even activate unless the bottom of the cookware is magnetized. 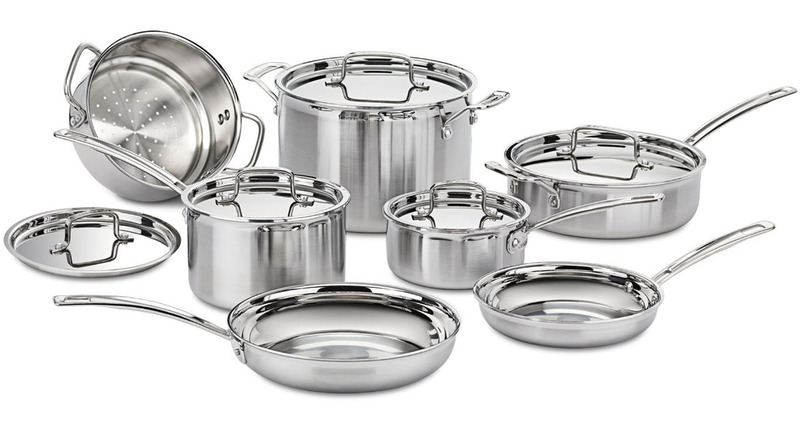 The cookware recommended on this page all pass the magnet test.